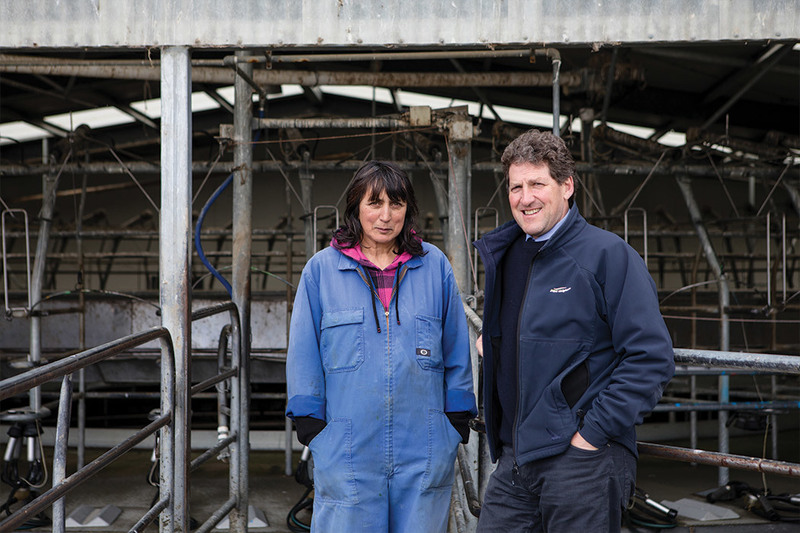 A 154 hectare Menzies Ferry, Edendale farm is for sale offering purchasers easy access to the rewards of organic dairy production in Southland, says Andrew Patterson of PGG Wrightson Real Estate, Invercargill, who is marketing the farm. “This property has been fully organic for almost two years, after the present owners made the transition in November 2016. They supply Open Country. From November 2018 the company is paying a secured minimum premium of $2 per kilogram of milksolids for organic milk supply. 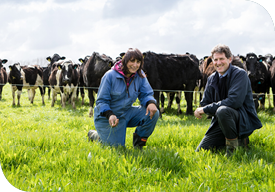 “Featuring balanced soils, a modern 54 bail rotary cow shed, a 500 cow yard, two homes and a resource consent for water and effluent for 550 cows through until 2022, the farm presently milks 400 cows on a grass-based system and has produced an average of 154,000 kilograms of milksolids over the past three seasons. Also available for sale is a 72 hectare run-off that has been used in conjunction with this farm for wintering and calves,” he said. Originally from Waikato, Bina Basi has owned the farm for the past six years. She says shifting the property to organic production was straightforward. “We were looking for a more natural way to drive the farm along, away from sprays and whatever. Since we moved to organic, we have had fantastic grass production, no bloat and no down cows during the last two years of calving. Our farming philosophy is that stock health comes first. If it wasn’t working for them, we would have switched straight back to a conventional system. However, our cows are happy with everything, so we wouldn’t ever go back. “Wildlife on the farm has increased, with plenty of fantails around, in particular. We have certainly noticed the extra birdsong since we went organic. If you dig a hole, there are many more worms in the soil these days, too,” she says. Bina found the transformation simple. “We conform to European Union standards for organics, which are different to United States standards, and mean we are still able to use conventional treatments up to three times a year per cow as a backup. Converting a farm to organic production is no longer in the too hard basket. It is not just for what you might call ‘tree huggers’ anymore. There is so much more information available, product suppliers and other useful contacts. It is an easier process, and products such as organic fertiliser are readily available, with plenty of alternatives to standard inputs,” she says. Although there is more administration required for an organic system, Bina says it is not onerous. “Everything you need is available now, and although there is more paperwork, completing that is not challenging as such. “Most people go along a conventional path, running a farm the way they have been taught and not thinking anything different. We were motivated to challenge that approach, and it has been successful, with lower inputs, better animal health and a generous premium for our production. “Farming organically does require a different way of looking at things. For us, it was a way to secure a good position in the market by thinking outside the box. With new emission reduction protocols coming in, and organics becoming one of the fastest growing industries, with growth in New Zealand between eight and 20 per cent annually, and organic grocery sales through supermarkets having increased by 127 per cent since 2012, it made sense. When you factor in the $2 payout premium, alongside reduced inputs, it becomes a bit of a ‘no-brainer’ to secure your future,” she says. 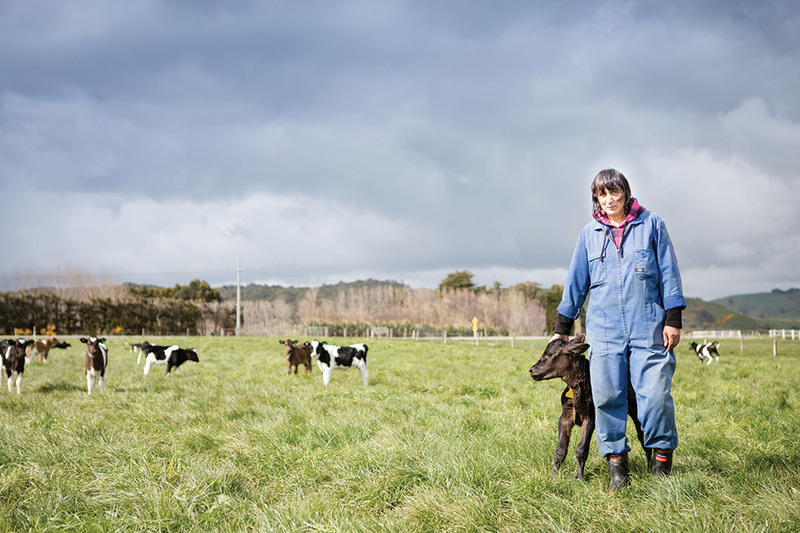 Bina is selling the farm to move back to the Waikato, closer to family, though as a life-long dairy farmer, and a farm owner for about 20 years, she will stay in the industry and will definitely remain organic. “Once we sell here, we will either buy an organic dairy farm in Waikato or a conventional farm for conversion to organic production. We have seen the difference and having taken that step, the benefits now seem so obvious,” she says.